Have you ever heard of German attributive clauses? Well, in case you didn’t, language-easy.org will try to clear this part of German grammar up for you. 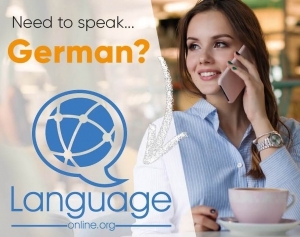 So, don’t worry if you have never heard of this type of German subordinate clause – Probably, you know relative clauses, which build an important part of this group within German subordinate clauses. 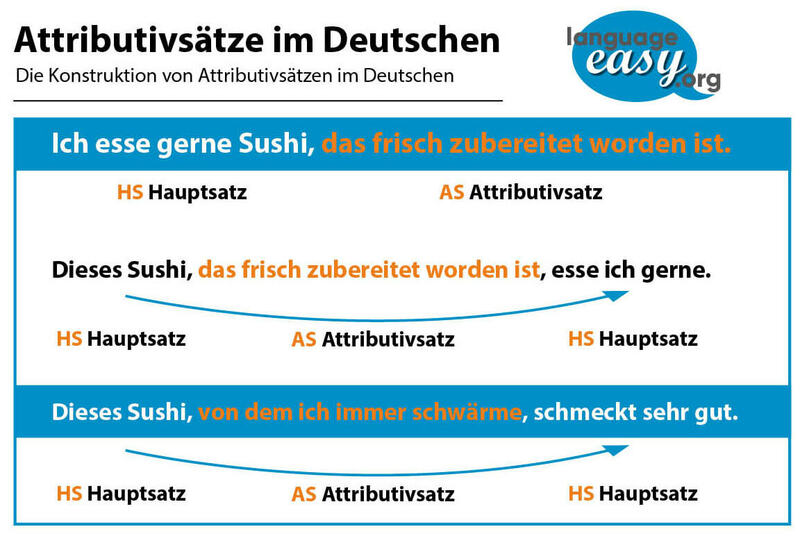 So, in the following, we will have a look at what German attributive clauses are. Additionally, we will try to describe in some detail the other types of subordinate clauses that form a part of this group. By the way, in case you’d like to get some background information about this topic, just have a look on this article on Wikipedia. And now, let’s not loose too much time and come straight to the first part of this article. Los geht’s! What are German Attributive Clauses? First of all, we will define what the group of German attributive clauses actually is. So, you will see that they are quite similar to attributive clauses in the English language. Nevertheless, there are huge, important difference you have to consider. German attributive clauses are subordinate sentences which have the function of a a attribute, which means that they depend on a noun. Well, it’s quiet important to know that this group of subordinate clauses consists of three types of clauses: Relative clauses, conjunctional clauses and a rather special type called “Verbzweit-Attributsätze”. In the following, we will have a closer look at each one of them. So, German relative clausesallow us to provide additional information about a noun without starting a new sentence. We can also use them to combine two main clauses. Relative clauses are always introduced by relative pronouns, usually, der, die, das for people and things and not wer/wen (who/whom) as in English relative clauses. In German grammar, relative clauses are always set off by commas. So, here are some examples that illustrate this description. So, in the following I’d like to illustrate the correct use and construction of German conjunctional clauses by some examples phrases. “Sobald ich genaueres weiß, sage ich dir bescheid.” – As soon as I know more, I will let you know. “Philip isst gerne bolivianisch, wohingegen Julian lieber italienisch isst.“ – Philip likes to eat Bolivian food, whereas Julian prefers Italian food. “Obwohl er viel gelernt hat, hat der die Prüfung nicht bestanden.” – Despite having learned a lot, he didn’t pass the exam.